I have discovered Horsealot a while ago and I have been using it for about a month. I have so many great things to tell about it that I don't even know where I should start. Honestly, this is my newest "addiction" and it will probably become yours - don't miss Horsealot! 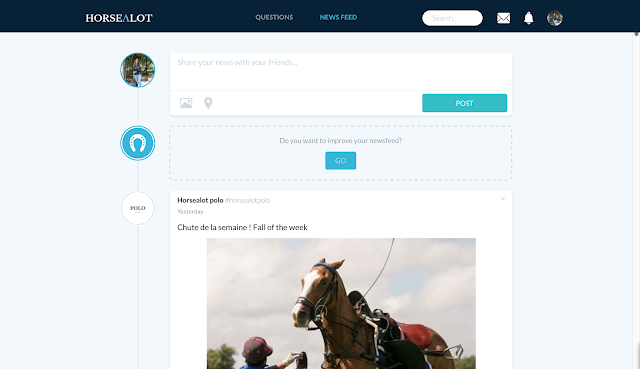 First of all, Horsealot was created by Alexandra Martel, a young French rider who felt that the equestrian world was missing something: a social network exclusively dedicated to us - riders, horse lovers, horse owners and so on. 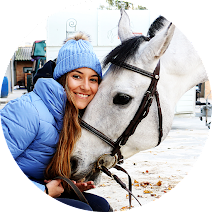 After spending time creating her project and gathering an incredible team - which includes Roxanne Legendre *fangirling* -, Horsealot was launched at the end of last year at the Lyon 5* show. Today the network counts with about 55 000 members (I am proudly one of them) and they have just launched their new and much improved version. But what can we use Horsealot for? Well, for almost everything! 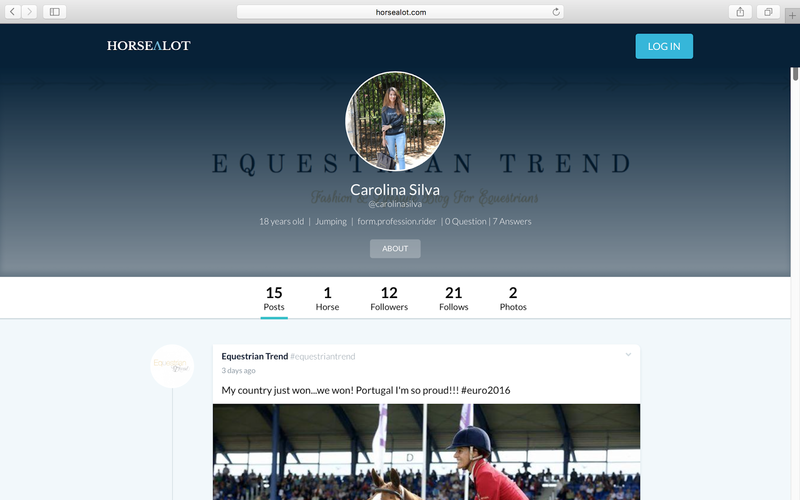 We can ask questions to other riders, get the best answers, discover and follow professionals or even your favorite equestrian brands like CWD. We can also follow other amateur riders, horses and get all the news from the equestrian world. Aston, the mascot & Chief Happiness Officer, won't let you miss a thing! Equestrian Trend's page - #equestriantrend. There you can see all of our news. My personal page - @carolinasilva. It's the profile I use to ask and answer questions. If you want to follow my horse, his profile is "&galileu". 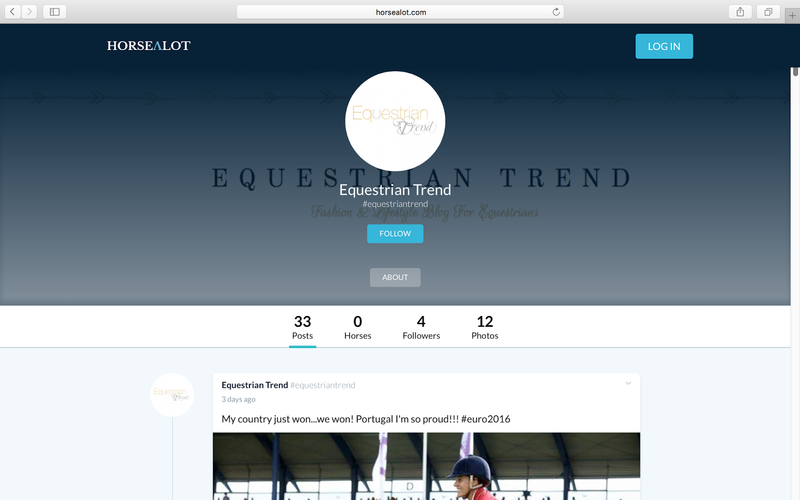 I would love to see and follow your profiles on Horsealot! <3 If you already have an account follow me so that I can follow you back and if you don't have one yet, please, please, please create one, I am 100% sure that you will love it! I believe there was that app called Pandahaus (or something like that? ), and it was popular for maybe a week, but this seems to be much better for networking and brand building! Cool thanks for sharing shall have to check it out. 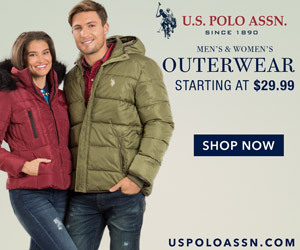 Do most people use their own names or nicknames/horse names to sign up?